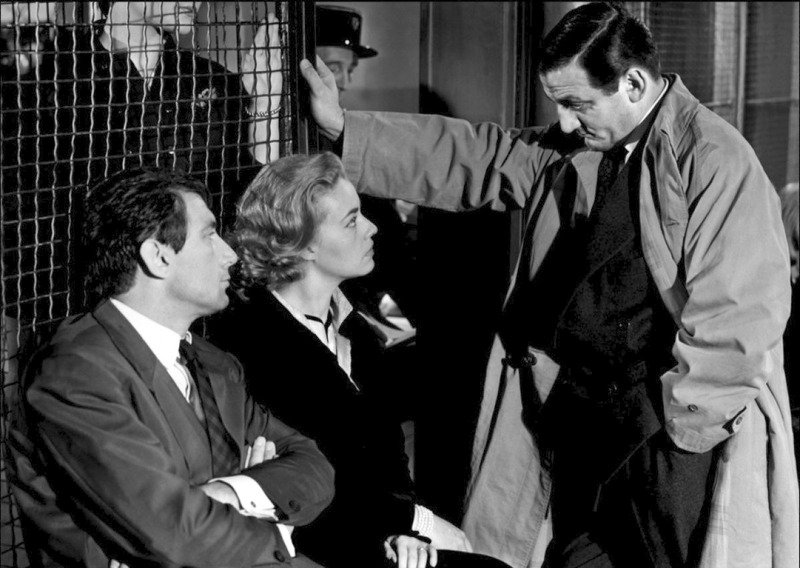 Ascenseur pour l’échafaud is the latest cinema re-release by the British Film Institute. The film has often been argued to be the first ‘French New Wave’ film or at least an important pre-cursor’ to the New Wave proper which began with Chabrol’s Le beau Serge in the same year. I showed the film as part of an evening class considering ‘A new look at the French New Wave‘ in 2009 and I thought it might be useful to post those notes here. This film has a complex plot with narrative twists. These are concerned with two separate narratives that become intertwined. In the first narrative an adulterous couple set up a serious crime which goes wrong when the man is trapped in a lift. In the second a young couple go on a spree when the boy steals the car of the man in the lift. Once linked the two stories lead to a typical noir conclusion. Ascenseur pour l’échafaud became a commercially successful film offering action, suspense, crime and twisted romance. In some ways traditional in featuring a ‘locked room’ crime, the narrative also embraces the Hitchcockian romance thriller. Because of its inclusion of younger characters, innovative camerawork and direction and a stunning jazz score by Miles Davis, the film also feels much more modern than most 1950s films. However, given its relatively ‘straight’ treatment of its material, it is distinguished from the later New Wave films by Godard (À bout de souffle) and Truffaut (Tirez sur le pianiste) which utilise similar genre elements, but treat them in a more ‘playful’ way. 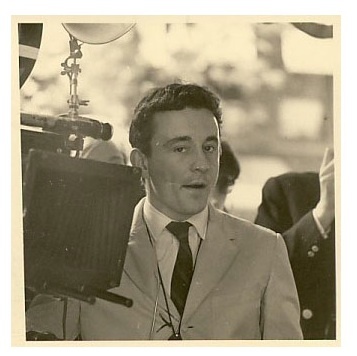 Like the young Cahiers critics, director Louis Malle was obsessed with cinema. But instead of writing about film like his contemporaries who attended the Cinémathèque and wrote for Cahiers du cinéma, he plunged straight into learning about filmmaking. Originally enrolled to study science at the Sorbonne, Malle switched to the French film school IDHEC. He never completed the course because he took up an offer to become an assistant to Jacques Cousteau the underwater explorer. Malle soon proved to be a wonderful underwater photographer. He also learned direction and editing and at the age of 23 he shared a Palme d’Or with Cousteau as co-director at Cannes in 1956 for the documentary film The Silent World. Malle also had experience of observing/assisting director Robert Bresson and in 1957 he began work on his own first feature film Ascenseur pour l’échafaud. He thus became one of the youngest of all the ‘young directors’ of la nouvelle vague. After the success of his first film, Malle quickly followed up with the controversial Les Amants (The Lovers), again with Jeanne Moreau. This was a far less likely candidate for the New Wave, but Malle’s third film Zazie dans le métro (1960) placed him back alongside Truffaut with a zany comedy about a small girl whizzing about Paris with her uncle, complete with cinematic references and jokes. Malle went on to make a further twenty-seven features, including several documentaries and films made in the US in English. The American critic Pauline Kael noted that Malle’s refusal to work within a specific genre or any other form of categorisation of style or thematic meant that he was often dismissed as a dilettante. The high quality of many of his films suggests that this was a bad mistake by those critics. Malle was already involved with a production company, NEF which had already co-produced Robert Bresson’s A Man Escaped (1956) and would go on to produce all of Malle’s films. it indicates the state of French-American cultural exchange. We could fruitfully look for these three features in many of the films of the New Wave and not just those which are obviously polars based on American pulp fiction sources. The focus on young characters in a changing society is there in most New Wave films and the ‘play’ with American culture at this moment in French post-war history is evident everywhere. It’s apparent in the pinball machines in the cafés, the incursion of American jazz onto the soundtrack, the ubiquity of American cars and the references to Hollywood. (Although in most of the films, and especially in Truffaut’s, it’s mixed with traditional aspects of French popular culture.) Again this wasn’t necessarily ‘new’ and is evident in earlier polars, such as Jean-Pierre Melville’s Bob le flambeur (1956). Also quoted as a precursor of the New Wave, this was the first of Melville’s attempts to use the conventions of American crime films to tell French stories. 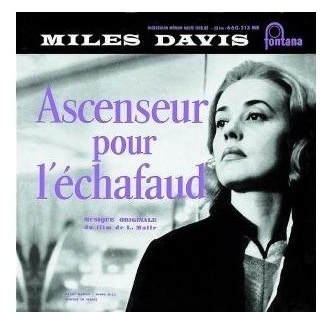 The importance of the extensive Miles Davis score in Ascenseur pour l’échafaud also links up with the work of another, later, New Wave figure, Jacques Demy with his obsession over American musicals. In one sense though, Ascenseur pour l’échafaud is different. This is in its political references. The marginalised hero of the film, Julien, is an ex-paratrooper who has returned to France after fighting in the colonial wars in Indo-China and North Africa. He transfers his ‘action skills’ to crime, operating in the world of oil industry espionage. Along with the presence of the young couple on the run, this feels like a French parallel of the concerns of American B noirs. The appearance of the German couple as tourists also prompted comments. Louis Malle was often a controversial director and his later films dealt with taboo issues such as the Occupation in France (Lacombe Lucien, 1974 and Au revoir les enfants, 1987). More than most New Wave films (Godard’s Le petit soldat is the exception), Ascenseur pour l’échafaud seems to be aware of the issues of the moment. This entry was posted in French Cinema and tagged Film Noir, Jeanne Moreau, La nouvelle vague, Lino Ventura, Louis Malle, New Wave, polar, Série noire. Bookmark the permalink.